If you plan to multitask on your phone or use your phone for gaming and want the switch between your apps to be smooth and without any kind of jitter then it is advised to have at least 4GB RAM on your smartphone. 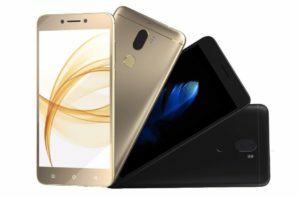 Fortunately for us, these smartphones have become very affordable and you now have several smartphones with 4GB RAM or more for under 15,000. 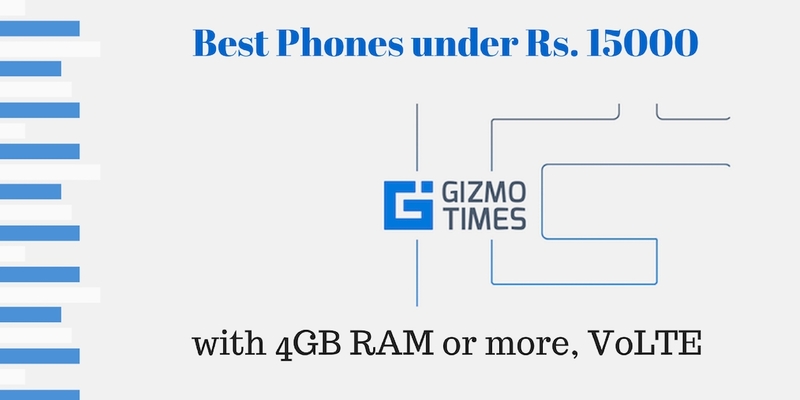 If you are in the market looking for a new phone with at least 4GB RAM and have a strict budget then this post might be the one for you, we will be listing some of the best options that are now available with at least 4GB RAM. The Motorola G5s Plus is an upgraded version of the already successful Motorola G5 Plus and comes with a dual camera setup. The device is powered by a Qualcomm Snapdragon 625 Chipset and is backed by 4GB RAM, the device comes in variants and the storage goes up to 64GB which can be further expanded to up to 128GB via MicroSD card. The device has a 5.5-inch FullHD display and runs Android Nougat 7.1.1 which will get updated to the latest Android Oreo soon. 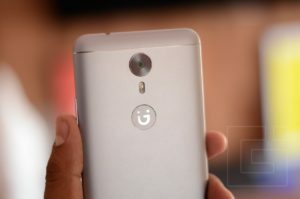 The Motorola G5s Plus has a dual 13MP camera setup to make the depth enabled mode possible, the depth enabled mode in the device uses the information from the secondary sensor to create a bokeh effect in the final images. The device comes with 3000mAh battery and supports Turbo Charging. 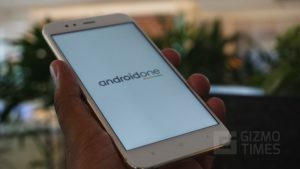 The Android One phone from Xiaomi comes with excellent specifications and there is a 5.5-inch Full HD display along with which is the Qualcomm Snapdragon 625 processor, 4GB of RAM and 64GB internal storage. 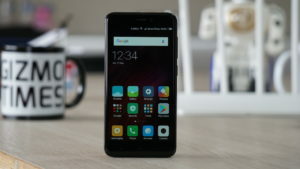 Also, this phone has the design of Xiaomi Mi 5x, which was launched with the MIUI interface in China. The Mi A1 comes with the dual-lens camera combination of two 12-megapixel cameras, where the secondary camera has the telephoto lens for zooming in without any loss of quality. It is the stock Android interface that the phone runs based on Android Nougat, and a 3080 mAh battery powers the phone. It is priced at Rs. 14999 and this phone with the Android One program is one of the best in its price range. Check out the Xiaomi Mi A1 Review. 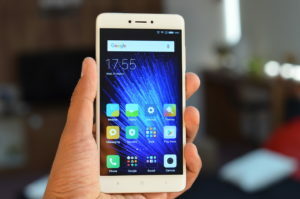 Xiaomi Redmi Note 4 is a part of the budget series of Xiaomi and because it is a Note series device it will have an excellent battery life and a medium sized screen. This device is in its 4th revision and the RAM has finally been upgraded. The processor on this device is a Qualcomm Snapdragon 625 Octa-core chipset and the RAM has been upgraded to 4GB from the previous version which had 3GB. 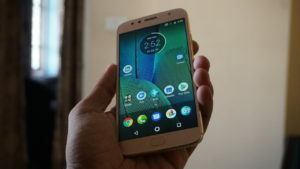 There is also a 3GB version of this device with lower internal memory, while the 4GB RAM version has 64GB internal storage, the 3GB variant is limited to 32GB. The battery on this is 4100mAh and can last you more than a day of moderate to heavy usage. The Redmi Note 4 has surprisingly good cameras for the price, the 13MP rear shooter is a very capable camera and produces very accurate and vivid images. The front shooter on this device is a 5MP shooter and the images are very smooth which results in better-looking faces. Coming to the display, the device has a 5.5-inch FullHD display which is well calibrated. The Lenovo K8 Note is one good phone, and thanks to the inclusion of the stock Android OS instead of the Vibe Pure UI that Lenovo phones earlier had, this is a good competitor to the two phones listed above. The K8 Note comes in as a successor to the K6 Note and it has a 5.5-inch Full HD display while internally it is powered by a good MediaTek Helio X23 processor, which is a good one when it comes to the standard performance. The phone comes with the dual-lens camera combination with 13-megapixel + 5-megapixel cameras. A 4000 mAh battery powers the phone and there is a 15W charger helping in fast charging. Even on the front of the device, there is a good 13-megapixel camera with the flash support. Check out our Lenovo K8 Note review to know more. This device is more inclined towards the selfie lovers but still made it to the list because of the specifications that the device comes with. The device is powered by a Qualcomm Snapdragon 430 Chipset and is backed by 4GB of RAM. The internal storage on this device is limited to 64GB but this can be expanded to up to 2TB via MicroSD card slot. The device has a 16MP rear camera and comes with a dual camera setup on the front. 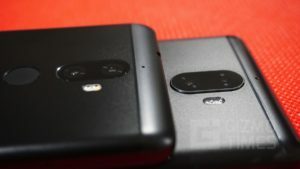 The front optics include a 20MP and an 8MP camera and both the cameras work in unison to capture the depth data which can be used by the software to create an artificial bokeh effect. This effect is similar to the portrait mode that is now seen on many new devices and is available via the images captured using the front camera. The device has a 3000mAh battery which should be enough for a day of moderate to high usage. 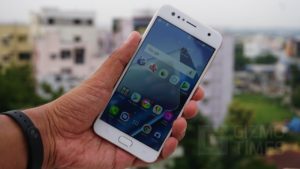 Check out the ZenFone 4 Selfie Dual Review. 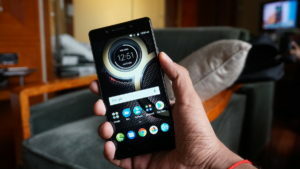 This device from Lenovo is the first from the company to offer a stock Android experience. It is also the first device from the company to feature a dual camera setup on the rear. The Lenovo K8 Plus is powered by a MediaTek Helio P25 octa-core chipset and is backed by 4GB RAM. The internal memory on this device is 32GB and this can be expanded to up to 128GB via MicroSD card. The device runs on stock version of Android Nougat and might get upgraded to Android Oreo. The camera setup on this device is a 13MP + 5MP sensor on the rear and the front camera is an 8MP sensor. The device comes with a 3GB and a 4GB RAM variant and both the device are very much capable of multi-tasking smoothly. The device is powered by a 4000mAh battery and the company claims to offer 20 hours of video watching experience. The battery also supports their rapid charging feature. This was one of the best launches in the mid-range market from Honor. 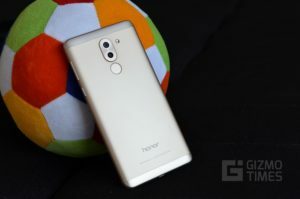 The two cameras work together on the back to bring out better pictures and they also help in the bokeh effects, but the phone overall has a good list of specifications and performance. The Honor 6X comes with a 5.5-inch Full HD display, and internally, it is powered by the Kirin 650 processor and there are variants, one of which has 4GB of RAM and 64GB internal storage. The rear camera combination on the device is of 12MP + 2MP cameras and on the front is an 8MP shooter for selfies. The Honor 6X comes with a 3340 mAh battery. Also, the Honor 6X has Android Nougat with the custom ROM named EMUI. This is one of the best-specced devices in this list and is available for just under 15,000. The Coolpad Cool Play 6 is powered by a Qualcomm Snapdragon 653 octa-core processor and this is backed by 6GB RAM. For this price range, this is the only phone to have such amount of RAM helping in multitasking. The storage on this device is 64GB and the device runs one of the latest flavors of Android Nougat 7.1. The device has a dual 13MP camera setup on the rear with one monochrome sensor and another color sensor. This helps the device reproduce brilliant images with natural bokeh effect in them. The monochrome sensor helps the device produce sharp and detailed images. The front camera on this device is an 8MP sensor and the device is powered by a 4000mAh battery. The Xiaomi Redmi 4 is the younger brother of the previously talked Redmi Note 4, this device comes in 3 variants with different RAM and storage options and the top of the range variant of this device comes with 4GB RAM and 64GB storage. The processor on this device is a Qualcomm Snapdragon 435 chipset and the device runs on Android Marshmallow with the MIUI skin on it. The device comes with a 13MP camera with a 5-element lens and a f/2.0 aperture. The front camera is a 5MP camera similar to the Redmi Note 4. The display on this device falls short and it is a 5-inch display with 720p HD resolution, but this should be just fine considering the price that it comes for. The battery on this device is huge for the size and has a rated capacity of 4100mAh which is the same as the bigger Redmi Note 4. The device is well designed and has a very premium feel despite the low price that it comes for. The Gionee A1 is a very well specced device and comes with a MediaTek P10 processor which is an Octa-Core processor clocked at 2GHz. This processor is backed by 4GB RAM and the device has 64GB of storage. The device runs on Android 7.0 Nougat and has a custom skin by the company named as Amigo OS 4.0. This device has a 5.5-inch FullHD display with a 2.5D curved edge. The camera on this device is a 13MP primary camera and it has a 5P lens and an aperture of f/2.0. The front camera, on the other hand, has 16MP and an aperture of f/2.0 making it better than the rear primary camera. The device comes with a 4010mAh battery which supports ultra-fast charging via the Dual Charging chips that make the charging cooler and safer. Only if you think you can extend the budget a little bit, the On Max is not a bad phone at all for the price of about Rs. 16000. The phone has 4GB of RAM as you would have wanted for multitasking and along with that, there is 32GB internal storage and MediaTek MTK6757V processor. The phone has a great set of cameras, with the rear camera being a 13MP one with F/1.7 aperture and CMOS sensor and even on the front, there is a 13MP camera. 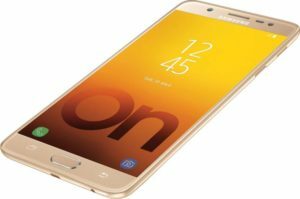 The Samsung Galaxy On Max comes with a 5.7-inch Full HD display, and it runs Android 7.0 Nougat OS with the TouchWiz UI. There is a 3300 mAh battery powering the phone.